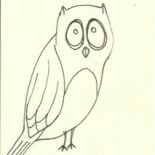 Neurotic Owlphapebet, part. . . 6? I think? Wait, a,b,c,d. . .
Hooray! It is six! Which means that we’re almost halfway, since 26 letters = 13 posts. I will be sad when this mini-project ends. Do you get that feeling when you’re on top of something tall, that weird little impulse to leap that scares you pantsless? It’s not suicidal, I don’t think — I know what that feels like, anyway — it just seems to be this thing built into some humans, maybe all humans? I haven’t asked all humans, so no idea. I have heard a few other people describe it, so it’s not just me. Resistive fear of needles occurs when the underlying fear involves not simply needles or injections but also being controlled or restrained. It typically stems from repressive upbringing or poor handling of prior needle procedures i.e. with forced physical or emotional restraint. Which describes ME, y’all. Do you have any idea how comforting it is to see a precise description of your weirdness in a format that shows that, while it’s reasonably rare, other people have the exact same experience as you? I’ve said for years that my needle issue is primarily about control, which is why it was exacerbated when they started having to have orderlies hold me down, and why nowadays, after much excellent behavioral therapy, I can get done what needs to get done if the nurse stops at each step and asks me if he/she can continue. I do also have a deep-seated horror about foreign items/substances under my skin ,which complicates the injection problem, but control and feeling trapped and like I would die if the needle touched me was the biggest issue, and that’s pretty well in hand now. 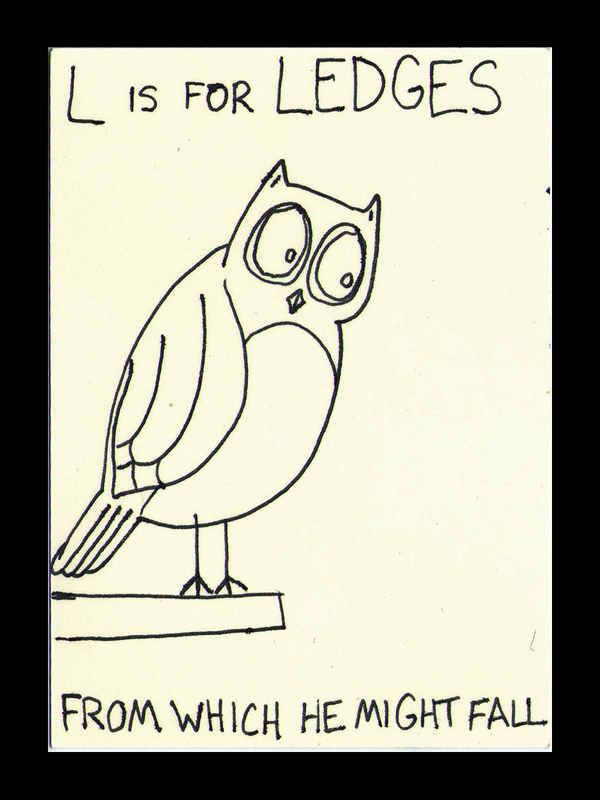 Long post today, but now you’ll be spared hearing the exact same story when I inevitably draw my little owl getting a shot later in the alphabet! 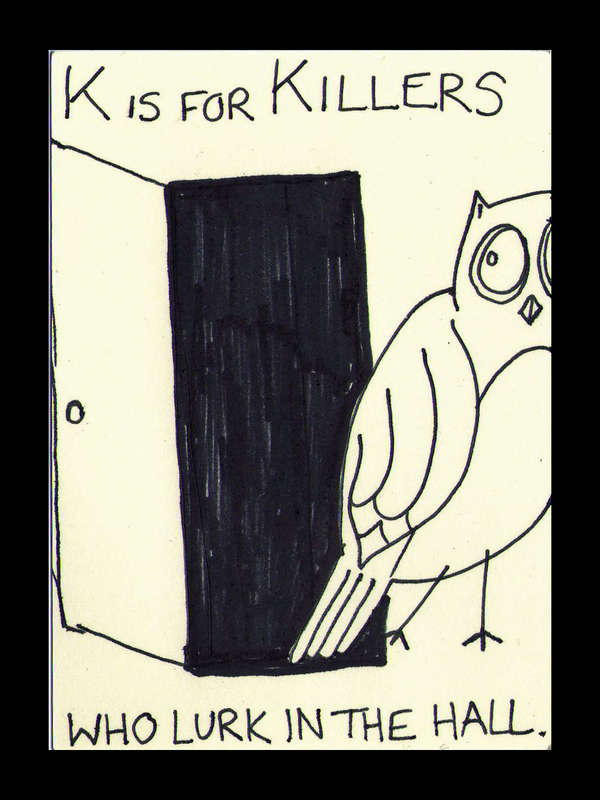 This entry was posted on June 10, 2013 by naralesser and tagged halfway to crazy cat lady, overly long titles, owlphabet, owls, personal stories you didn't want to hear.